Winning the Lottery: Financial Peace or Pain? Imagine it. You've just WON the Super Lottery and now have more money than you ever dreamed of. But, does winning create financial peace or pain? For too many it's pain. 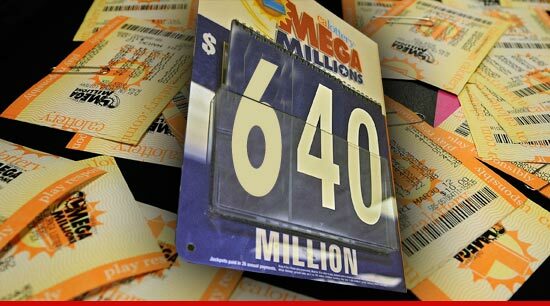 Most people that win the lottery are broke or bankrupt within 5 years. That’s because winning a bunch of money and financial wisdom don’t necessarily go hand in hand. Winning is really a set-up because our training in how to manage money, grow and enjoy our money in healthy ways is so lacking in our families and our school systems. I was making a deposit at the ATM Thursday March 29th and there was a big line of people buying tickets for the lottery. A few years ago I might have been in this line also. But since I’ve been trained as a Money Coach the “money fool within” is less likely to run the show and imagine I’ll beat the 175 million to 1 odds of winning. Yet, of course, people do win the lottery. I say good for them, IF they can quickly learn how to manage their instant wealth. Unfortunately, that doesn’t often happen. In fact “*…70% of all lottery winners squander away their winnings…” in less than 5 years. This is the same problem that NFL players are notorious for having. Most are broke a few years after leaving professional football. Why is that? The simple explanation is that when someone’s networth takes a radical leap upward their self-worth doesn’t necessarily change as well. We all have a financial comfort zone we operate within. Too many people will get rid of new money in an unconscious way to stay in their old financial comfort zone. What I want for new lottery winners is for them to educate themselves immediately about what’s happened to other winners so they can avoid the heart-ache of financial destruction. The key to financial peace whether you’re a lottery winner or not, is to learn about your relationship with money, your money strengths and weaknesses and the hidden pieces that create money problems so that you can make the best financial choices. (*Read referenced article here: http://tinyurl.com/88zfryt) To get started read Deborah Price's book: Money Magic or David Krueger's The Secret Language of Money.